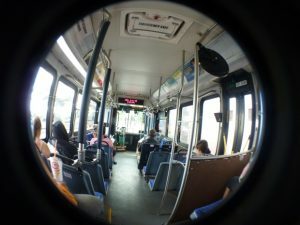 The mass transit system in Broward County, where this incident occurred, has come under particular scrutiny as a Sentinel investigation uncovered numerous cases in which drivers with multiple preventable bus accidents – some resulting in serious personal injury – were still allowed to continue driving. The policy, which is being revisited by the county’s commission, holds that drivers must have at least five preventable accidents over a rolling 24-month time frame before they can even be considered for termination. The driver in this case was initially demoted from driving duties and directed to work in the bus service department after serving a 15-day unpaid suspension. However, after appealing that discipline, the driver was allowed back on the road, which is where he remains to this day. Here in Lee County, the county-operated bus service is LeeTran, which is a department of Lee County government responsible for operating the public transit system that serves Lee County. It operates two dozen bus routes, in addition to a paratransit service called Passport for disabled residents. The county employs 240 people and has a fleet of 50 large buses, 10 trolleys and 42 paratransit vans. We don’t have nearly as many bus accidents in Fort Myers as what we might expect to see in, say, Fort Lauderdale, but we are not immune from these types of incidents. In this tragic situation, the teen was walking with his mother to the bus stop in order to get to school. The mother’s shoe got caught in the pavement and she fell. But the bus was gearing up to leave the stop and she urged him to hurry up and catch it so he wouldn’t be late to school. A passenger on the bus called to the driver that there were “runners” trying to catch the bus. The driver acknowledges hearing this remark. However, when the boy got to the side of the bus and reached his hand in the door, the driver shut the door. It’s disputed whether the boy’s hand was actually stuck or whether he held onto the bus, but in either case, he was dragged for a short time before falling underneath the bus, which partially ran over him, causing his severe injuries.